As my son and I were walking Stella, our dog by the River Yare, and having sat down on the seat overlooking the river situated south of Bland Road, Norwich, Norfolk, UK, we were commenting on the fighter jets roaring above our heads at great height. They looked very small when out of the white clouds. I said they were not playing war games, but chasing a UFO radar contact for I knew from previous experiences how to tell the difference. We watched a fighter plane go into a great pulled about fluffy white cloud that was unlike the other clouds and I said to my son to watch for a UFO to come out of the other end of it. There was a short gap between that cloud and the next and as we watched it a craft of huge size materialized within the gap. It was not moving but just hovering. It was in a shape hard to describe as it seemed that the outer edge was not so visible, but it was long like a cigar and light metallic green in colour with two bars or rails running along ether side underneath that shone a brighter metallic green. After around ten seconds or so it dematerialized and a jet fighter came out of the cloud, which was tiny like a fly in comparison to the UFO. We could hear the jets after burners and see them at times going extremely fast, then slow right down and turn as if trying to find it once again. I got the impression that the UFO was kind of playing games with them. The time of the sighting was 14:20 and the craft was almost overhead and slightly to the east. I have watched something like this now three times from or near my home, and over the twenty years I have lived here I have seen a few good sightings. Once one has seen them, it becomes a habit to keep an eye on the sky and to learn how to look. I am sure the RAF would just say what they always say, that they were just playing war games or practicing. However, all three times I have seen these happenings it was over built up areas and the flying was frantic. I’m afraid that I did not have the time or togetherness to get my phone out and take a video or photo, for if I had tried to do that I would have missed the sighing. Next time perhaps! NOTE: The above image is a rendering. 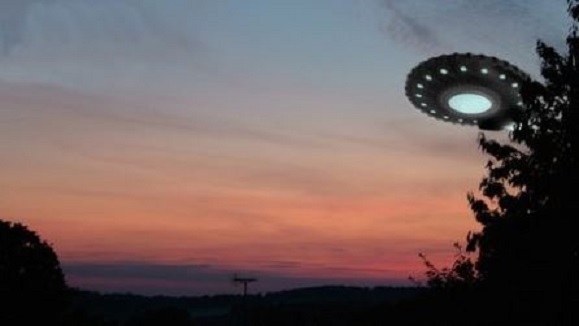 Vancouver reported 116 UFO sightings in 2013, more than any other Canadian city. The city that once played host to The X-Files is also the best place in Canada to spot a flying saucer, according to the Canadian UFO Survey. That’s right: If the truth is out there, Vancouver is probably a good place to find it. Astronomer Chris Rutkowski said the sheer number of sightings – 1,100 in all of Canada last year – demands further research. ““Are we looking at a real phenomenon? Is there a psychological phenomenon accounting for all this?” said Rutkowski, who works with the Canadian UFO Survey. “Why do people persist in seeing something that supposedly shouldn’t be there?” Vancouver has been a UFO hot spot for years, according to the survey, and B.C. was second only to Ontario for sightings in 2013. About 300 UFOs were reported across the province, with sightings peaking between 10 p.m. and 11 p.m. Rutkowski said most UFO sightings can be easily explained as satellites, planes or military exercises, but 10 per cent remain a mystery. Also unexplained are some incidents of crop circles, which have confounded farmers in Northern B.C. in the past. Charles Lamoureux, a Vancouver resident, claims he sees UFOs on a regular basis. “I see them every night,” he said. “I can pretty well tell what’s a satellite and not a satellite. If it’s not a satellite and way up in the atmosphere and it changes direction, there’s not many things it could be.” He claims to have seen his first UFO three years ago and was entranced by the possibility of communication with beings not from earth. Lamoureux has since purchased a Yukon Night Vision Device, which he uses to peruse the night sky, searching for any sign of visitors from another planet. In one memorable incident, he said an orb came about 15 metres away from his balcony seemingly observing him. It hovered for a few moments before shooting off into the night sky. Another time, he shone a light at a mysterious object in the sky with the orb flashing a light in response. Lamoureux says he hopes whatever the UFOs may be, they become comfortable openly communicating with people from Earth. NOTE: The above image is a rendering. 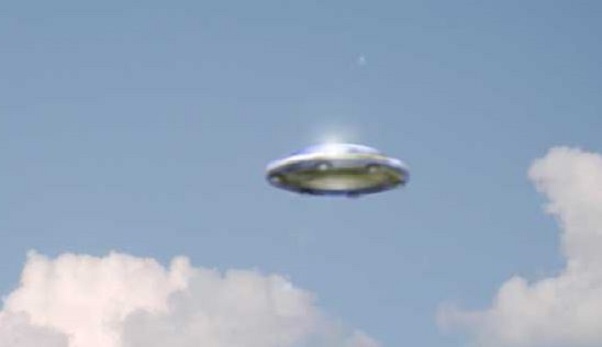 KEN’S NOTE: Personally I feel the percentage of unexplained UFO sightings is more like 30%. Many UFO investigators write off thousands of sightings to birds, bugs, satellites and planes. Of course they are guessing 90 % of the time. We need more investigators with open minds and the passion that comes with investigating a UFO sighting. Many people are not cut out to be a UFO investigator because sometimes people cannot handle the truth. It really opens your eyes to how many and how detailed some of these UFO sightings can be. There is certainly an alien presence on this earth. 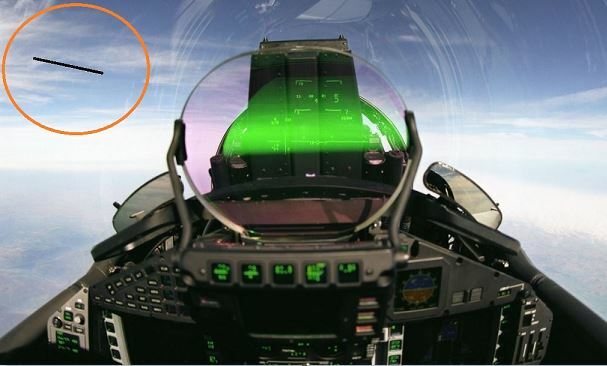 At the Mihai Kogalniceanu military airport, north of Constanta, several supersonic fighter aircraft pilots of the Aviation Group 57 had witnessed an unidentified aerospace phenomenon. The event took place probably in the second half of March 1989 (there are differences in the timing remembered). Between the hours of 15.00 and 21.00, the unit, consisting then of 18-20 pilots, executed a shooting exercise in two sets: day flight and night flight. “At one point, it was announced that the training flights were halted, although weather conditions were excellent and the visibility was very good” said one witness. At around 21.20, the pilots were stripped of their equipment. Some of them, including the Commander and the Colonel Platon Streja, flight inspector in the Air Force Command in Bucharest, delegate to attend and participate in flights that week, were in the “alarm cell”, a room located in a building, planning the next flight, scheduled over two days. The other pilots were talking on a bench outside this building. The technicians were preparing the aircrafts for parking at night. The sky was “glass clear”, and the visibility perfect. Colonel (ret.) Aurelian Dobre remembers: I was talking with some fellow pilots before the ‘cell’. I was facing the take off terminal. At one point, I saw many lights, appearing actually above the trees. I immediately entered the ‘cell’ to warn those who were inside. When I went out, the lights were already on top of us.” Colonel (ret.) Paul Otelea, commander of the second group, then flying a MIG -23, says:”At one point our colleague Aurelian Dobre entered, calling us: Come out quickly!” We went all; we looked in the sky and saw a triangular sections train at an equal distance between them, bathed in white light silver matte, strong but without giving light around. [… ] They moved from south to north. I appreciate that they were at an angle of about 20-25 degrees and about 7,000 meters high. Along with the passing over him, he heard “a noise that resembled very well with the rustle of a flock of birds in flight over the forest at night. I knew it from childhood, when I was wandering the woods”. “From the first moment I saw them until they disappeared, several tens of seconds passed, then the lights faded out towards Ukraine”. He adds that it is a great mystery the lack of “sonic bang” shock wave. Colonel (ret.) Dan Aioanei, who at the time was flying a MIG-29, says: “From Medgidia, a formation of 7, 8 or 9 flowing objects were approaching. They looked like neon tubing, several kilometers long each, and were thus positioned relative to one another that form a “V”. From the distance, the tubes seem to have a diameter of 15-20 cm, so in reality they have 2-3 meters. Travel speed must have been at least supersonic. They were flying very high, at an altitude of over 3,000 m but may be well over 10,000 meters. Even for us, acquainted with the sky, was hard to estimate, because the reference points, i.e. clouds, were missing. As pilots, we know what shape, texture, dynamics have the clouds, depending on the altitude at which they are. The formation left no trace behind, no light, no trail. The “tubes” have disappeared from the horizon, somewhere east of Tulcea. In 1989, the Group 57 of Air Force, now disbanded, was among the highest rated in Europe in terms of professionalism of the pilots and endowment of the unit. The pilots who witnessed the event were both well qualified and trained to distinguish an airplane, helicopter, balloon, flock of birds, or satellite from whatever. NOTE: The above image is a rendering. In the late afternoon, around 5:30 PM, my wife, son and I were out in the backyard. The weather was fair and clear. Approx. 75 degrees with no wind. Unlimited visibility. As we stood together between some trees I noticed a “bird” almost directly overhead. 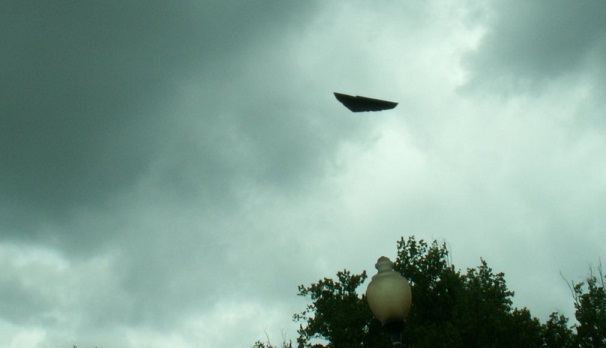 It appeared from overhead a 30″ tree canopy from the E. It moved in various sharp angles to a hover, and then back and forth between sharp angular turns to hover over and over for about 15 seconds. We all watched it. After approx. 15 seconds the “bird” moved off back to the E direction over the tree top it appeared from. The “bird” resembled the size of a large Raven. It was black. It had a segmented body. The body was that of a long tappered elipse with a round head with a long pointed “beak”. The “wings” resembled that of a dragonfly and it moved about like a Hummingbird. We discussed what it might have been and I said a Hummingbird, because I have seen them before and they darted about like that but knew that they are quite small at close range and this was no bird because of it’s size, structure, and movement. I am a skilled observer. As soon as it moved away back to the E over the tree top , immediately at the exact same elevation and area of the sky appeared from over the tree top an off white colored object from the E. It looked round at first. It seemed to be at a very high altitude and it moved at constant speed and direction like that of a high altitude commercial jet. There were about 30 degrees of overhead visibility inbetween the trees. I called it out and my son eventualy picked it up just before it disappeared over the treeline to the west. The elipse was slightly egg shaped, the point was at the front. The edges were clealy defined. There were no lights on it or reflections. I checked the weather conditons the next day with the NWS and the winds were light about 5 mph from the W. My estimation was that it was as large as a commercial jet at altitude. NOTE: The above image is a rendering. NOTE: This case has been investigated by Ken Liperi of MUFON New Jersey. Since we are not allowed to classify cases as ”alien craft”, Ken classified this case as unknown. Alexeni Air Force Base is in Ialomita County, not far from the town Urziceni. On August 23, 1984, was the communist era National Day, celebrating 40 years since Romania turned against Hitler’s Germany. In the afternoon, the aircrafts (type MIG, IAR, AN etc.) who participated in the military parade in Bucharest, had returned and landed at the Alexeni base and were even covered. At one point, the Otopeni radar station (near Bucharest) asked Alexeni station if they have any aircraft in the air, because they saw something on the vertical of the Alexeni airfield. Emil Strainu, today general (retired), was working at the radar complex command. He described as eyewitness the story summarized below. A further examination was made, confirming the presence at the ground of all equipment. The sky was clear, temperature 28 degrees Celsius, so that shortly the unknown object was spotted also visually. 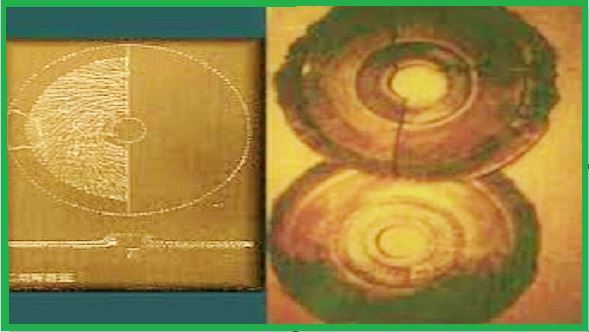 Observed by optical instruments (telescopes, theodolites) it had ovoid shape, and it was estimated to be 2-3 meters long and 1.5 meters wide, seeming to be made of a shiny material, like aluminum. It moved silently, and did not have lights or propulsion jet. It did not seem disturbed by the wind of 7-8 m/sec. During its evolution, a strong interference was noticed with VHF and short waves communications… The officer on duty put to operate the Alexeni radar station, but noticed nothing, because this unit had no way to see an intruder in the overhead area, which is in a „dead zone”. The Otopeni centre told that the object appeared suddenly, and was seen by 4-5 different radars from different locations, working with different frequencies. Now the intruder was “swinging somewhere in the vertical of the Alexeni airfield, westerly, at an altitude of 4000-4500 meters”, as they told. The radar signal received was comparable to that of a small plane or a helicopter. Subsequently the object descended to 2200 meters. Moving westward, it came, after a time, in the Alexeni radar angle. At one time it was lost and found, after five seconds, at an altitude of 22,000 meters. 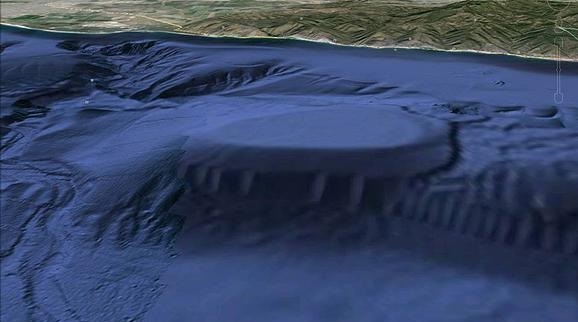 After this, the object (now located about 20 kilometers from Alexeni) climbed and descended, about 7-8 times, between 2000 and 55,000 meters with speeds from zero to 12,000 km/h, making zigzag movements and turning in sharp angles that no earthly aircraft would have been able, among others due to overloads. The crews of some civilian aircrafts flying over that zone confirmed also that they see something that looks like a balloon, with metallic appearance, but declined to make any official report, claiming they do not want to compromise themselves. The object was watched for 40 minutes, being lost at a height of 100 km, when it disappeared into space at a speed of 1000 km/h. The radar operators, all with over 10 years experience in radar, specifically chosen to assist the military parade, confirmed it was not a balloon or other known object. When details were reported verbally to Otopeni, the answer was that’s better to forget the incident as, being the national day, nobody wanted “news bombs”. The magnetic tapes that recorded the event have been carefully considered, but after 24 hours they have been deleted. Given the special moment, no one has claimed responsibility of sending a report upwards”. NOTE: The above image is a rendering. They wanted to tell us who they were and what brought them here. They left a message for future generations, but the alien artifacts they left behind were hidden from the public! This story is known under a lot of names and it is one of the most covered-up stories in the history of extraterrestrial-human interaction. The discovery took place in 1938 on the border between China and Tibet. An archaeological expedition, guided by the Chinese professor Chi Pu Tei discovered rows of graves in the mountain caves of Baian Kara Ula. The skeletons were remains of a different race of human beings. The skeletons were very fragile and measured only little more then four feet (1,30 meter). Their skulls were large and over developed but these were not remains of apes. Additionally, the scientists also discovered interesting rock drawings on the cave’s walls. They depicted beings with round helmets accompanied by the drawing of the sun, moon, earth and stars, connected by groups of pea-sized dots. There was even much more to find in the prehistoric cave. Half buried on the dusty floor, the archaeologists found a large round stone disk, which looked like a Stone Age gramophone record. There was a hole in its center and a fine groove, spiraling out from the center to the rim. Its age was determined to be around 10,000 – 12,000 years old! In all, 716 stone disks were found. 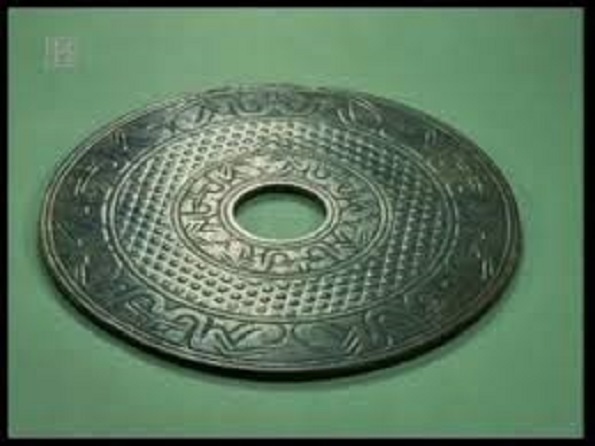 Each disc was 9 inches (22.7 cm) in diameter and 3/4 inch (2 cm) thick. Each disc also had an exactly circular 2 cm hole in its center. Further analysis revealed a groove-like marking, which turned out to be a continuous line of strange carved hieroglyphs. The object was a ‘record’ of alien writing composed of microscopic characters written in a language never encountered before. For more than 20 years many experts tried to translate the alien writing, but without any success. 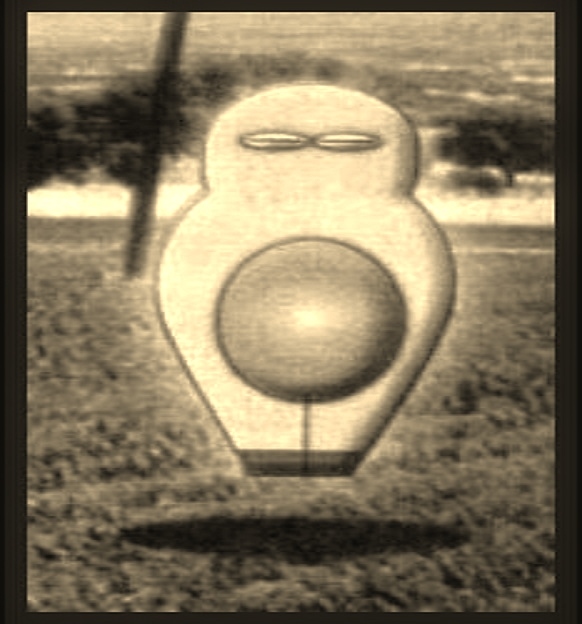 In 1962 Dr.Tsum Um Nui, a Chinese scientist, was finally able to decode the message of the mysterious artifacts. The result was so bizarre that the Prehistory Department of the Beijing Academy, China refused to publish Tsum Um Nui’s findings and even talk about them as well. Dr.Tsum Um Nui continued his research and was finally allowed to publish his work. The shocking message of the Dropa stones was written by beings who called themselves Dropa. The stone disks told the story of the Dropa people, space travelers from a distant planet. 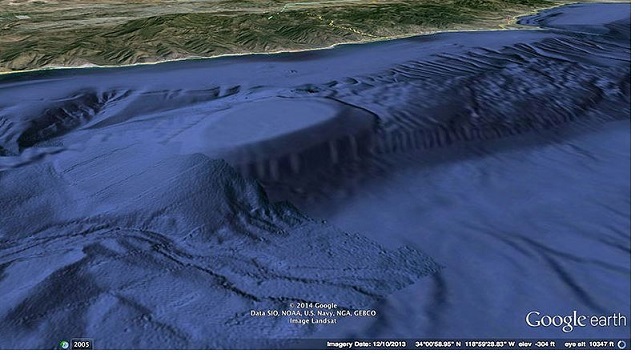 Their spaceship crashed in the inaccessible region of Baian-Kara-Ula mountains. The occupants of the spacecraft, the Dropa, found refuge in the caves of the mountains. With no possibility to repair their destroyed spacecraft or building a new one, the Dropas could not return to their home planet. They were stranded on Earth. Despite their peaceful intentions, the Dropa were misunderstood by members of the Ham tribe who were occupying neighboring caves and who hunted down the aliens and even killed some of them. A translation of one of the passages says: “The Dropa came down from the clouds in their aircraft. Our men, women, and children hid in the caves ten times before sunrise. When at last they understood the sign language of the Dropa, they realized that the newcomers had peaceful intentions…“ In 1968, the Russian philologist, Dr. Viatcheslav Zaitsev published the extracts from the stone-plate story in the Sputnik Magazine. Zaitsev conducted more research and came up with really interestings results. Physically, the granite stones contained high concentrations of cobalt and other metals, a very hard stone indeed. It would have made it difficult for the primitive people to carve the lettering, especially with such minute characters. When testing a disk with an oscillograph, a surprising oscillation rhythm was recorded as if, the scientists said, they had once been electrically charged or had functioned as electrical conductors. Have any of the Dropa people survived? At the time of the discovery, the cave area was still inhabited by two tribes known as the Khams and the Dropas, both extremely odd in appearance. 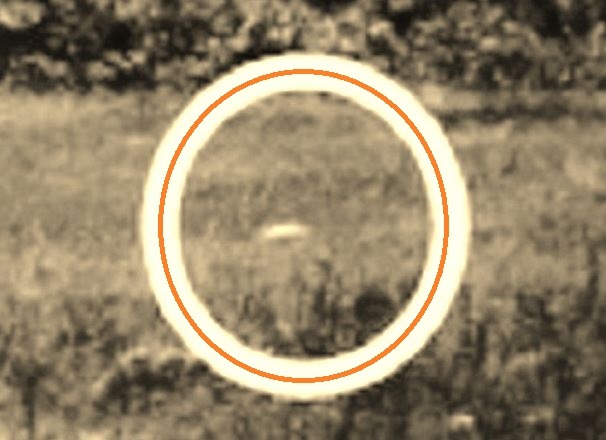 THANKS TO WWW.UFOCASEBOOK.COM AND READ THE REST OF THIS AMAZING SIGHTING. KENS NOTE: The above rendering is exactly what I witnessed on November 9, 2013 in the Franklinville New Jersey area. The alien encounter incident took place in 2001. Three villagers; Fevzi Can, his wife Selma Can and their neighbour Aysel Topaloglu from Narli village in Esme district of the city Usak; woke up early in the morning to hoe their tobacco farm. It was about 7 in the morning. They got on the tractor, as they would always do, but on the way they saw something 30 cm. above the ground on a farm they were passing by. The thing was about 15 meters away from them. First, they did nothing but kept on driving. But as they drove, the being started to follow them on the same direction, still keeping the 15 meters distance in between. That was when the villagers got puzzled and Fevzi Can stopped the tractor and got off it to look closer what that was. 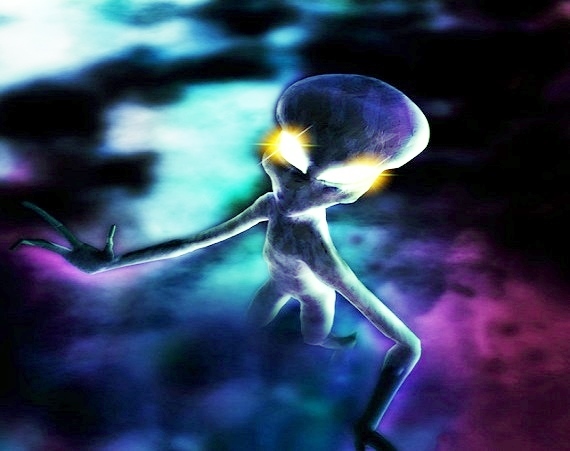 The being started to rise in the air and approached towards them. It stopped about 2 meters away from Mr. Can and hovered about 2,5 meters above the ground. The thing was completely silent. No wings or no propellers were apparent. There wasn’t any noise of an engine either, but it was in the air. Mr. Can was astonished and confused by what he was looking at, so he thought of throwing a stone at it, thinking maybe he could drop it down and examine it closer. As soon as he had the thought of throwing a stone at it, the being started to rise in the air. Mr. Can threw a few stones at it, but all missed. The being rose about 5 meters then started to fly to the opposite side, all time facing the witnesses, and went away. The villagers told that the being they saw was about 60-70 cm. tall, wearing a bright, gelatin-like suit with an orangish, reddish bright light in the belly part. It had an elliptical head and red-coloured feet. It had no arms and the legs looked like to be attached to each other forming a V shape. It had no ears, no nose nor a mouth. According to the witnesses’ testimony; the only facial detail that was apparent was its almond shaped eyes. Right after the encounter, the villagers went to Mehmet Yildirim, the head official of the district, and told him about their encounter. Mr. Yildirim notified the governor Ayhan Cevik right away. 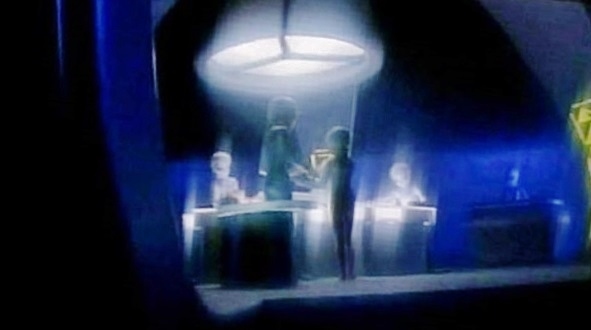 A security meeting took place and the bulletin including a sketch of the alien was distributed to the head official of the district, security superiors and gendarme commanders.The combination UFO/entity was never seen again, which is remarkable when you consider the government’s response to the report. Can you imagine anyone in the US reporting that story to their local government official, then the local official reporting it to the governor, then the governor holding a security meeting, then alerting all the security personnel and gendarmes in the district to watch for a peculiar little floating entity in a gelatin suit who can predict when someone is about to throw a stone at it? My guess is that that would never happen in the US. NOTE: The above image is a witness rendering. A 17-year old motorist traveling almost 10 miles north of Aurora, Indiana on a Saturday night claims to have encountered an unusual figure on the road. While driving his black Chevrolet Cavalier southbound along North Hogan Road a “figure” was spotted in the headlights of the automobile as it was crouched down near a puddle of water. From the driver’s perspective the figure was spotted out the windshield on the right of the car. After passing the frail-looking figure, the driver looked into his rear view mirror and again observed, illuminated by the taillights of his car, what he described as a tall, abnormal figure that moved strangely with pointed joints that “buckled out”. He estimated the figure stood around 6 feet, seven inches. “It had protruding joints and moved very strangely.” The driver said he was able to ascertain the figure, alleged to be dark gray or black and “pencil thin” stand up and take several steps toward the woods along the roadside. The figure definitely walked on two legs and was thought somehow, to be a male, although no clothing was noted. No face or eyes could be seen, but the witness had the impression that the figure was looking straight at him. The figure was immediately thought to be something out of the ordinary, not a human being. The duration of the sighting was “hurried” and possibly within the 3 to 4 second range. The driver continued on for a small distance after passing the figure and finally put on his brakes, coming to a stop at an estimated 2 minute walking distance on the road from the location of the sighting. He looked back to further observe the entity. At that point, a second car came into view and approached from the opposite direction, passed and then reached the spot on the road where the figure was thought to be. The 17-year old motorist reportedly watched closely and observed the second car undertake what he thought to be an evasive maneuver near the vicinity of where he thought the figure would be situated, and then the car turned around at that spot and shortly pulled up behind him, somewhat in the grass. There was an elderly couple in the car, both in their late 60s or early 70s and both with gray hair. The driver, who wore glasses said, “Boy, did you see something back there? I’ll tell you right now, that was no person.” The passenger, an elderly female said, “It was no human being. It was no man.” The elderly couple was reportedly “spooked” but offered to follow the first witness the remainder of the trip down North Hogan Road, clearly in the opposite direction of their intended destination route. It was thought that the elderly couple observed this same figure on the opposite side of the road, and possibly had observed it more closely. Later, the 17-year old witness was said to have become hysterical, and within an hour was describing the figure as an “alien”. NOTE: The above image is a rendering. At about 8:00 p.m., Ron Sullivan, was travelling on a straight sealed section of the Dunolly-St.Arnaud road, near Bourkes Flat, in central country Victoria. Ahead in a pasture off to his right, Sullivan observed an unusual light. He first took it to be a tractor, engaged in night plowing, but as he drew closer, Sullivan began to see a most unusual light display, located at ground level. The following things happened quickly as he drew closer to the scene, and then passed it. He was paying attention to both the light display in the pasture on his right and the road when he observed the following sequence of light display in the strange phenomenon in the pasture. Initially, as he approached, Sullivan saw a white phosphorous type of light on the ground that appeared to be about 15′ in diameter. It opened up and there was another white oval on top of it, about 30′ in height, coming down making the shape of a cone, with a 15′ bottom diameter and 20′ top diameter. And in that cone were tubes of colored lights, all the lights as you see as you look through the spectrum, all the colors of the rainbow red, blue, indigo & purple. Travelling up and down, or they seem to be, from the small oval to the bigger oval at the top. They were going up and down in shafts. Then gradually the top seemed to come to meet the bottom, They seemed to close in, making a transition of one light oval, similar to first view, everything then just disappeared. The last thing Sullivan saw of the light display was just a spot on the ground, a light spot, become smaller and smaller, to nothing. Meanwhile, as he was driving, he observed that his car headlight beams suddenly appeared to be pointing in a direction off to the right in the direction of the strange light display and also seemed to be, bending back on an axis with the object in the pasture. 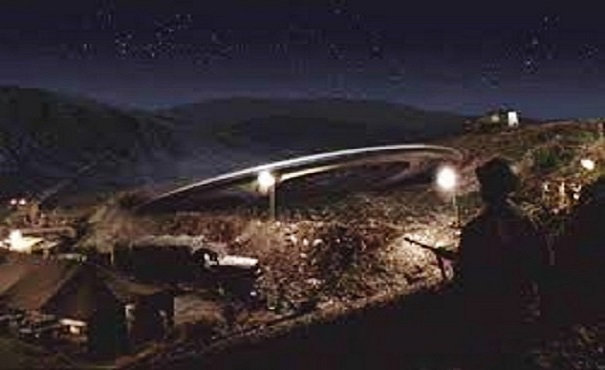 As he got closer, the angle of bending of his cars headlight beams became more acute. He thought his car must have been heading off the road to the right, and immediately compensated by turning it to the left. He found he was now heading directly towards a tree on the left hand side of the road. He turned the car to the right to regain the direction of travel along the straight section of road, thoroughly confused and leaving behind the display in the pasture. He had his car lights checked and found them to be working properly. Later in Maryborough he found that a young man from Carnegie, Gary Taylor, was killed in a car accident at Burkes Flat on the night of April 6th, two nights later. Sullivan reported his experience to police. At the accident site, it was determined that Taylors car had collided with the same tree that Sullivan almost collided with 2 nights earlier. Directly opposite the tree in the pasture, about 70 yards from the roadway, coincident with where Sullivan saw the strange light display, a shallow depression was found in the plowed earth. It was a little over 3′ in diameter and only a few inches in depth. The depression was cleanly scooped out of the sandy soil with no apparent debris around it. There were no human or animal tracks around the area. The property owner indicated the depression had not been there when he had finished plowing. There appeared to be no explanation for the depression or the light display. NOTE: The above image is a witness rendering. On February 10, a US Navy flight, Atlantic – Continental Air Transport Squadron one, located at USN Air Station, Patuxent River, Maryland, was out of Keflavik, Iceland at 49-50 degrees north latitude and 50-03 degrees west longitude about 150 kilometers [90 miles] west of Gander, Newfoundland out over the Atlantic Ocean. The aircraft was probably bound for Gander to refuel judging by its position and course of 230 degrees true, though the report does not mention this. US Naval Reserve Lieutenant Graham Bethune, co-pilot of Flight 125, was occupying the captain’s seat on the left side of the cockpit in the passenger plane when he first sighted a huge object [at least] 300 feet in diameter on a near collision course with their aircraft. 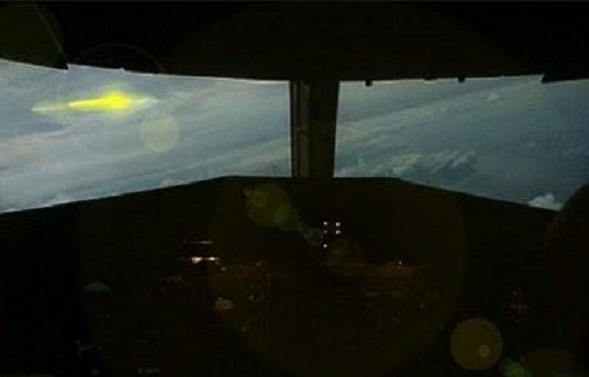 The co-pilot stated in his official report,… I observed a glow of light below the horizon about 1,000 to 1,500 feet above the water. We both, the pilot as well, observed its course and motion for about 4 or 5 minutes before calling it to the attention of the other crew members. Suddenly its angle of attack changed. Its altitude and size increased as though its speed was in excess of 1,000 miles per hour. It closed in so fast that the first feeling was we would collide in midair. 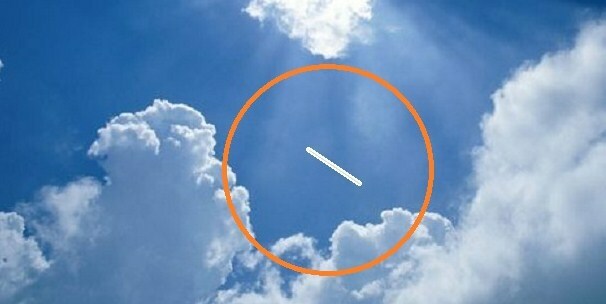 At this time, its angle changed and the color changed. It then appeared definitely circular and reddish orange on its perimeter. It reversed its course and tripled its speed until it was last seen disappearing over the horizon. The co-pilot’s report goes on to say that the object came within five miles of their aircraft which was borne out by radar evidence of the encounter because the object had been tracked by DEW Line Ground Radar at the base in Goose Bay, Labrador. When the plane landed, the entire crew was interrogated by AF Intelligence officers. At their destination, Patuxent Naval Air Station in Maryland, the pilot and the rest were questioned again by Naval Intelligence and required to sign full reports. Later, a government scientist (supposedly from the CIA) confidentially showed the pilot secret UFO photos – one portraying a disc like the one over the Atlantic. In a final interview, the commander was interviewed by Air Technical Intelligence officers at Wright-Patterson AFB. But none of the Navy or Air Force men, or the government scientist, would answer any questions about the UFOs. NOTE: The above image is a rendering. There’s this small mining town in Russia’s Far East called Dalnegorsk and on June 29, 1986 some strange stuff went down. A UFO incident witnessed by a lot of people. According to the Russian news agency Pravda, witnesses described a slowly moving (and bobbing up and down) large reddish sphere that slowly ascended and descended as it moved across a mountain range, and its glow would heat up every time it rose up. As the UFO approached one mountain top (Mount Izvestkovaya, also referred to as Height 611) it sort of “jerked” and then crashed into the mountain. Witnesses reported seeing something like an explosion. 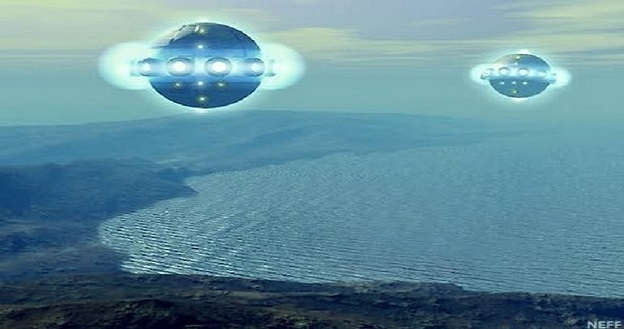 In the days after the “crash,” hundreds of witnesses said they saw three smaller spheres show up and began to act, at least to the witnesses, as if they were searching for the “crashed” sphere by doing slow sweeps over the area and sending down what appeared to be rays of light, sort of like search lights on an Army chopper. After a while of searching, the three smaller spheres sped off and that was that. Valeri Dvuzhilini of the Academy of (Soviet) Sciences was reportedly the first person (the first earth-born human, at least) to arrive on the scene two days later. 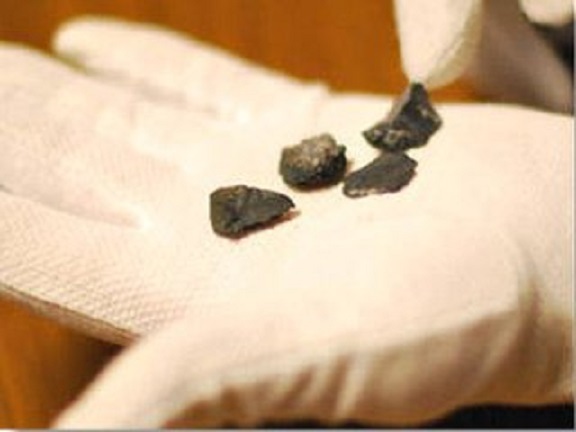 He collected samples (now referred to as alien artifacts) of what were described as strange, metallic mesh objects scattered at the site and samples of rocks and vegetation which had been scorched in the crash. This incident is widely referred to as the “Russian Roswell,” referencing the famous alleged 1947 UFO crash near Roswell, New Mexico. VIVA LAS VEGAS In the 1990’s Las Vegas reporter George Knapp traveled to the crash site to investigate the case and was given a few of the charred “rocks” (pieces of metal) that were found there. A 2012 story in the Huffington Post says Knapp was told by the Ruskies: “Three Soviet academic centers and 11 research institutes analyzed the objects from this UFO crash. The distance between atoms (in the found metal) is different from ordinary iron. Radar cannot be reflected from the material. Elements in the material may disappear and new ones appear after heating. One piece disappeared completely in front of four witnesses. 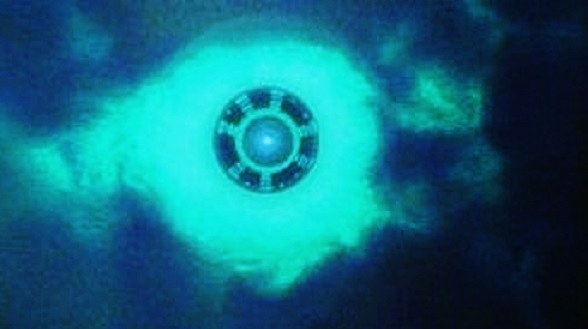 The core of the material is composed of a substance with anti-gravitational properties.” Today you can see those pieces of UFO metal that were given to Knapp at the The National Atomic Testing Museum in Las Vegas, Nevada. NOTE : The top image is a rendering. The middle image is real. Telepathic aliens are targeting Wales in a bid to harvest our superior genetic material – that’s according to “abduction victim” Hilary Porter. While Hilary’s stories may sound outlandish or unbelievable, she dismisses those who scoff for being closed minded. The 67-year-old sought-after speaker and ufologist is claiming a stretch of road between Swansea and Cardiff is a “hotspot” of alien activity Hilary says she was so traumatised by her abduction that she was too scared to return to Wales for four decades. When she did finally return in 2009 to visit a friend in Llanelli, she drove through the danger area unharmed – only to be abducted from her bed within a day of arrival. Hilary says she has been abducted so many times she has lost count and is convinced that aliens are already among us and only a government cover-up continues to keep it a secret. “They know what is going on but they are absolutely powerless to stop it,” said Hilary. 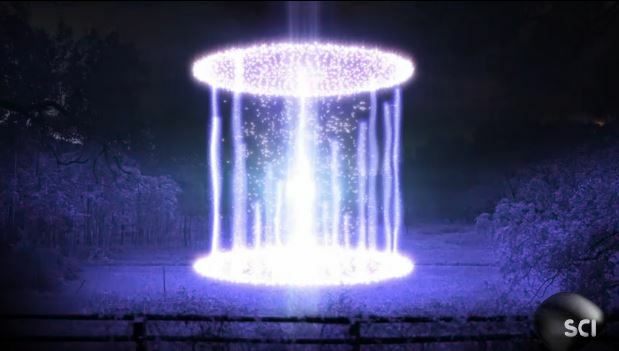 However, the active member of the British Earth and Aerial Mysteries Society (BEAMS) believes the tide is turning as people increasingly come forward with their own tales of alien abduction. Later this month she will be among a host of speakers at the Anomalous Mind Management, Abductee, Contactee, Helpline project (AMMACH) conference, which is expected to attracted hundreds. Hilary, who has had two experiences of aliens in Wales, holds the belief that extra terrestrials are targeting the Celtic tribe. The first occasion was in September 1970 as she drive home from a holiday in Ireland with her now ex-husband. She said as they headed towards the original Severn crossing, they suddenly found themselves on the outskirts of Cardiff outside a garage with no idea how they had got there. “It was damned frightening. We just blacked out and had no idea how we got there,” she said. “I didn’t feel well at all. My husband thought we must have gone to sleep, but that didn’t explain how we got there.” Also unexplained was how the petrol level in the car hadn’t gone down, she said. “When we got home I got changed and found triangular suction marks on my stomach, blood suction marks. I thought ‘flipping hell, look at that.” The marks themselves quickly disappeared and it wasn’t until seven years later that Hilary had a dream of travelling in what appeared to be a hexagonal spaceship. Within a short space of time she started suffering flashback memories which, she believes, began to reveal what had really happened in Wales. Today after years of studying “experience phenomena”, she has come to the conclusion she was teleported by aliens from another dimension. “They transport you molecularly and can create portals in a wall or closed door,” she said. “In the flashbacks I was on a beach and could see this alien being who was about 6ft tall and wearing green coveralls. “I couldn’t see his face but he could communicate mind to mind and had a box around his neck for seismic testing and warned me that he was going to cause an earthquake.” When he did, they were forced to run, she said, and she got into a small round vehicle which took her and the alien on to a small oval UFO. “I thought ‘flipping eck’,” she said. She later created a drawing of the flight deck of the UFO which shows a consul and an alien moving a series of levers, which she describes as looking like those in an old fashioned railway signal box. “Clearly a cover memory,” she said. She believes the relatively pleasant events she recalled had been created by the aliens to hide the real nature of the traumatic experience she actually underwent. On the second occasion, she said she woke at a friend’s house to find she had an unexplained black eye. 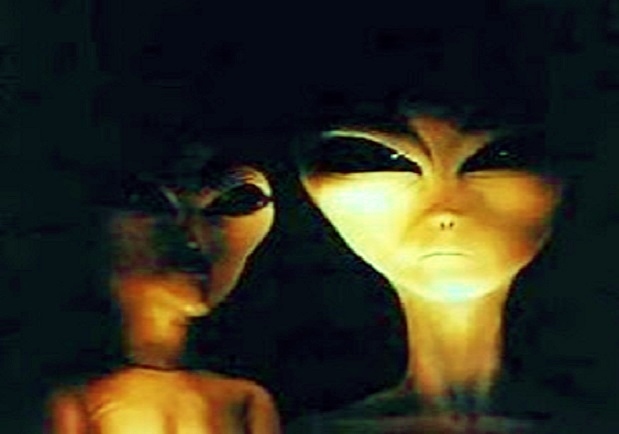 Hilary revealed that her research has led her to the conclusion that aliens target certain human “tribes” who genetic make-up is of more interest. “The Celtic tribes from Wales, Scotland, Ireland, Cornwall and Brittany are definitely on the list,” she said. “They are trying to make alien human hybrids and it seems the genetic material of these races are more compatible.” – WalesOnline NOTE: The above image is a rendering. The images were captured by 1 of my wildlife cameras. I only check the cameras about once a week roughly. The 2 Moultrie cameras I have are very sensitive and they capture shade movements on the ground from trees, blades of tall grass blowing and other things that my other wildlife camera does not capture. For this reason sometimes I have anywhere between 500 and 2,000 images to look through. I have always made it a habit to look through each and every photo just to make sure I don’t miss anything exciting. On this past Saturday, I went up to check my 3 cameras and came back home to view the photos on my laptop as usual. I found a series of photos it captured on May 7 2014 at 11:44 A.M. interesting. There were a couple before and a couple after the actual photo with the object but I only kept 3 photos, the one right before, the actual object photo and the photo snapped right after the object is captured but when I zoom in to try and view the object better, the photo becomes blurry and hard to see clearly what the object is. Although it is blurry, you can clearly see the object is blimp-egg shaped. It is white-grey on the top and the bottom appears to be a darker color , kind of purple colored. I am not trying to claim this is a UFO but I do not know what it is. 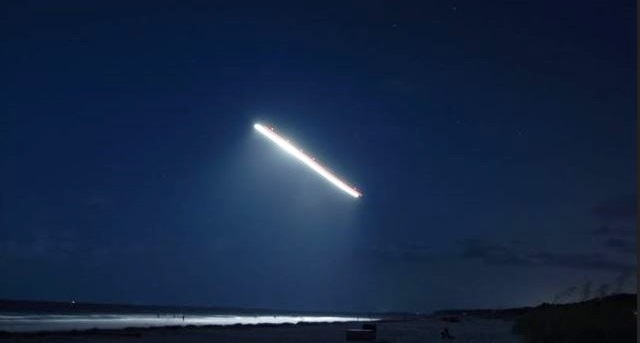 Since it is only captured on photo not video, I do not know if it was flying , if it actually landed or just what its motion was. I am hoping your organization can give us some insight into what the object could possibly be. Thank you for your time and consideration. KENS NOTE: Personally I feel this is an alien probe of some kind. This kind of object is appearing all over the world and they are sometimes known as Orbs. Our military has recon drones flying all over the world to report information back to their HQ. I feel that our Alien visitors have been doing this to us for thousands of years. 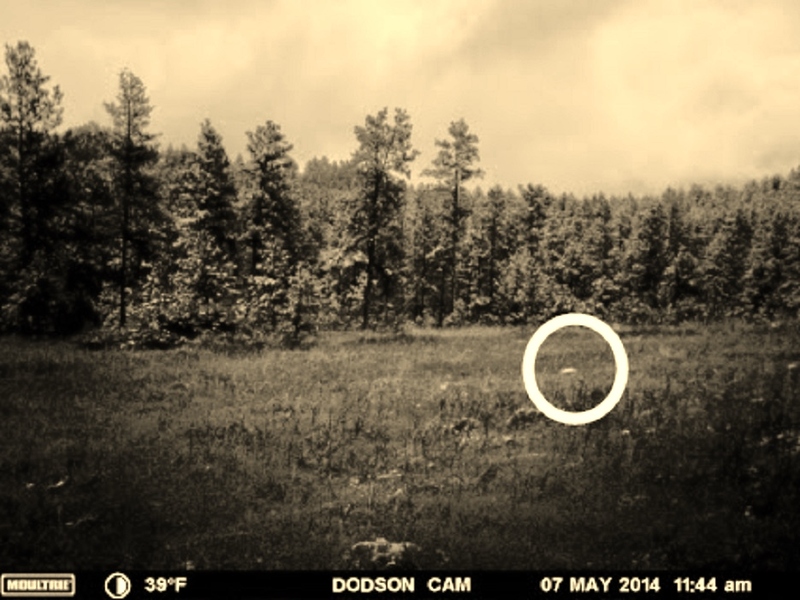 These hunters cameras have been capturing some exciting photos of strange UFO images for years. Usually the strange objects are there one minute and gone the next. 3 larger lights formed a triangle, 1 smaller dim light on top, all non-flashing, fast/silent flight, military jet in pursuit. I was outside walking when I noticed a large solid ball of yellowish- white glowing light. I thought I was seeing a planet at first but way too large. It appeared to not be moving, so I called for my father and grandmother to look. We watched as it began moving closer until it flew over us at a much lower altitude than any commercial jet would fly, and was moving to other horizon, and by the time I got to the backyard to finish watching, it had vanished. When I was in backyard trying to find it again, a Military Jet appeared in same flight path about 2 minutes later, and my father and I confirmed that it was a military jet from our military experience, and we knew it was a jet from the obvious sound we heard once it had moved on as well. The UFO had a very fast smooth flight with no noise and I couldn’t make out the individual lights until it was over head. At a distance it was huge! We are in shock. I’m a 30 years old Navy Brat, my Father is 62 and a 20 Year Navy Veteran and my grandmother age 86. NOTE: The above image is a rendering. On the morning of September 16, 1994, teachers and school officials at the Ariel School in Ruwa, Zimbabwe were amazed when the school’s students, aged approximately 5 to 12 years old, reported that a flying object had landed on the school grounds. The teachers at the school were in a meeting, so the 62 children were basically unsupervised while in the schoolyard on morning recess. The only available adult seems to have been one of the mothers, who was operating the school tuck shop – a sort of snack bar where candy, snacks and sodas are sold. 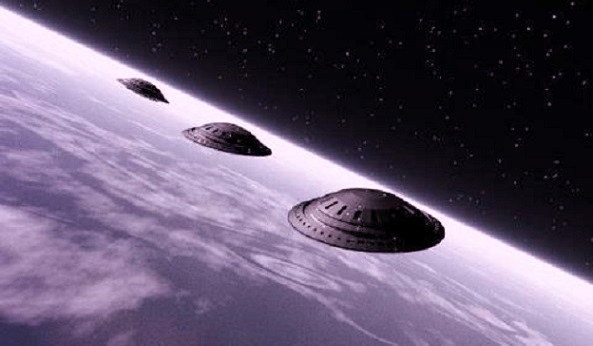 According to some sources, UFOs had been seen in the skies over Zimbabwe for two days before the incident occurred. Ruwa is about 20 kilometers from Harare, the capitol of Zimbabwe. Ariel School is a private elementary school with students of mixed ethnic heritage. The children said that they had first seen three objects in the sky. These objects would disappear and then reappear in a different location. The objects moved closer and closer to the ground and finally landed in a brushy area adjacent to the schoolyard. This area had not been fully cleared yet and was off-limits to the students. The object landed, or hovered just above the ground, in an area about 100 meters from the students. The children said that a small man, about one meter in height, appeared on top of the object. The little man, who was described as having a scrawny neck, long black hair, and huge eyes, walked a short way across the ground toward the students. When he noticed the children, he vanished and then reappeared at the back of the object. The object then took off and vanished. The smaller children were very frightened and cried for help. They believed that the little man was a demon who would eat them. Black African children have heard legends of tokoloshis, demons who eat children. The children ran to the tuck shop operator, but she did not want to leave the shop unattended and so did not go. The late Cynthia Hind, known as Africa’s foremost UFO investigator, investigated the case the next day. When she was first contacted, she asked the headmaster of the school, Colin Mackie, to have the children draw pictures of what they had seen. When she arrived at the school, he had about 35 drawings for her. The drawings were of very similar objects. ‘I swear by every hair on my head and the whole Bible that I am telling the truth.’ The headmaster affirmed that he believed that the students were telling the truth, and one little girl told Cynthia Hind that, ‘I swear by every hair on my head and the whole Bible that I am telling the truth.’ Dr. John Mack, the abduction researcher, and his associate Dominique Callimanopulos went to Ruwa and spent two days interviewing and counseling twelve of the children and their parents. “Those thoughts came from the man – the man’s eyes.” Curiously, the older students said that they felt that the creatures communicated with them somehow, sending the message that we humans are destroying our planet, polluting the environment in ways that will have dire consequences. The Sightings TV show did a report on the Ariel School landing, and CSETI has a RealPlayer video taken from the TV program with actual testimony from the children. NOTE: The above image is a rendering.